Cancer is caused by many different factors, some of which are known and some aren’t. Some cancers are easier to tell what causes them than other. Some types of cancers have different causes than other types. Some cancers are easier to predict. Many people have a misunderstanding about how cancer is caused, and new research is showing that oral cancer may be related to our genetics. A recent study from the Ontario Cancer Institute at University Health Network Toronto was posted in BioMed Central’s open access journal BMC Cancer, showing a link between Oral Squamous Cell Carcinoma and a particular four gene sequence in the human genome. This new finding has led the researchers to believe that this information can be used to help predict those who may be at high risk of developing this brand of cancer. 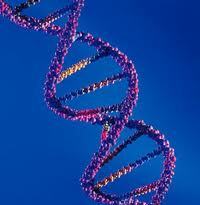 This particular strand of cancer is the cause of almost twenty five percent of all head and neck cancers. And despite making up only a quarter of the occurrences of head and neck cancer, it is actually one of the most common causes of cancer death. Experts believe that this is the case because of our current abilities to successfully predict occurrences of the disease. Hopefully this can change with the emergence of this new study. The way the study was conducted was that the researchers collected both cancerous and non-cancerous cells from the mouths of patients who had already contracted Oral Squamos Cell Carcinoma. They then examined the normal and cancerous tissues side by side as well as studied previous research concerning the same area of dental medicine. After taking part in these methods, the researchers noticed a regular recurrence of the four gene sequence in those cells which were cancerous, and found that that sequence was the most likely predictor that cells would turn cancerous. Researchers said “Our findings may be applied to develop a molecular test, which could be clinically useful to help predict which patients are at a higher risk of local recurrence.” This could mean great things for all of us because at this point in time, we have no methods of testing when and why this cancer will strike. If you are concerned about the possibility of having oral cancer, don’t wait until you think you are sick to be tested. We may not be able to test for predisposition to this horrible disease yet, but we can test to make sure that this cancer has not already hit an individual. As we have blogged about before, it’s not always easy to tell if oral cancer is present just by looking. The sooner the patient receives treatment, then the greater chance that person has of surviving cancer. If you would like to make an appointment with Dr. James A. Wells at South Charlotte Dentistry for an oral cancer screening, please visit our contact us page, call 704-759-0908, or stop by Dr. Wells’ Ballantyne office. Should You Be Screened for Oral Cancer?